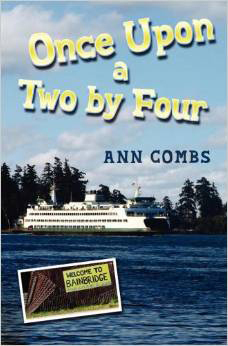 Ann Combs' versatility as a writer is reflected in the variety of her writings. 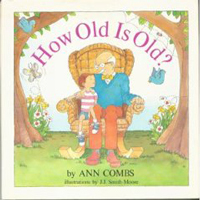 In her children's book How Old is Old (1987) Combs gently explains the concept of old age to young children. In Sunrise to Sunrise: Vincent Gowen’s Memoirs (2008), Combs and her co-author Geoffrey Gowen chronicle the life of their father Vincent Gowen. Gowen was the revered Bainbridge educator, author and vicar of St. Barnabas Church, and a Bainbridge Island legend. 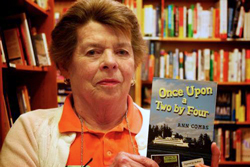 However, Ann Combs is best known for the humorous accounts of her own life. In Smith College Never Taught Me How to Salute (1981) Combs tells of her life as a military wife, and in We'll Laugh about This... Someday (1983) she describes raising her large and boisterous family. Locally Combs is revered for her book Helter Shelter (1979) which was republished under the title Once Upon a Two By Four in 2012. The hilarious story of fixing up a large dilapidated house on Bainbridge Island is, as one reader puts it, "a funny warm-hearted book that makes high comedy of domestic travail and takes family togetherness from the heights of a leaky roof to the depths of a faulty septic system." Along the way, Combs does not fail to highlight the idiosyncrasies of some of the residents of our island. 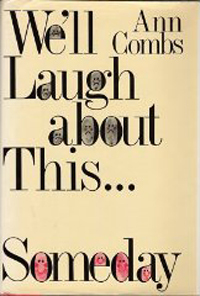 A reviewer once referred to Ann Combs' writings as "funny, sometimes sad, and frequently wise". That comment captures the style of this marvelous author perfectly.